The Comment deadline has been extended, no formal notice, but heard it verbally and in writing from Stephanie Strength herself! 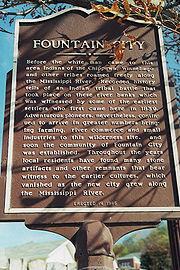 As to last night’s meeting in Fountain City, well, close, it was the Cochrane-Fountain City, at the High School, and afterwards, at the Monarch Tavern. It was same old, same old, with fewer people, maybe fewer than even St. Charles. That’s disappointing, but oh well, we’re done! We’ll keep you posted with news as this goes forward. 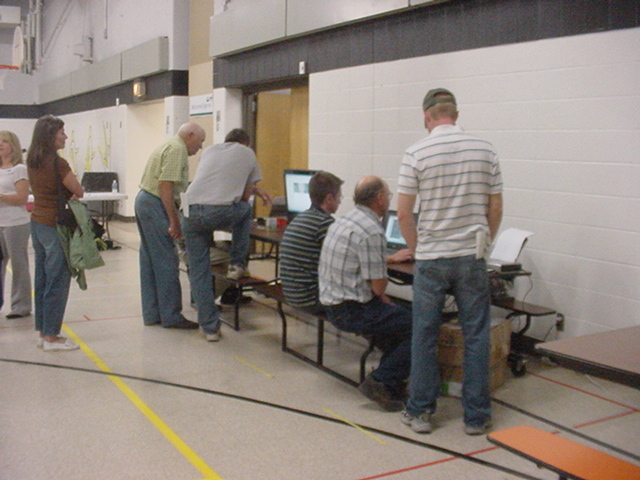 This scene was just outside the door of the Galesville/Centerville Community Center where RUS held the CapX 2020 scoping open house yesterday. It really was that beautiful, and corn chest high on June 24, the growing season is way ahead, getting more so all the time. We ran into the nastiest storm with the weirdest shaped clouds, feather fingers dangling down, not at all smooth spinning tornado like, but columns falling down with feathers reaching out. The front was extreme, super windy and tree branches blowing all over, we were running late and this didn’t help, but it was a fun storm to be in. By the time we got to Galesville, it was long gone. But quick, get to work, and chat with everyone coming in — between the CETF person at the door and NoCapX just inside in the hallway, we made them run the gauntlet before CapX even saw the whites of their eyes! OK, now on to Fountain City! The deadline for comments has been extended to July 25th, BUT I don’t have a formal announcement yet. Do have it in writing from Stephanie Strength. I’ll post the official Notice. “One would think” it’s because of the good meeting attendance, eh? Well, DUH! What do you expect when they threaten to take away land from so many people? The Scoping Decision for the Brookings line routing docket EIS was due MONDAY, and so TODAY, two days later, MOES writes to the judge to say they aren’t ready, don’t have it done, and won’t have it done until the end of June. DO YOU THINK THIS MAY HAVE SOMETHING TO DO WITH THE FACT THAT BOTH OF THE TASK FORCES REFUSED TO VOTE ON ALTERNATIVES PUT BEFORE THEM? I thought we all were supposed to comply with the Judge’s Orders. I guess deadlines are now optional. Hey, www.nocapx2020.info got plastered across the screen!!! High voltage power line headed for Hwy 52? 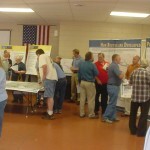 WANAMINGO — Barb St. John attended the public scoping meeting about the CapX2020 transmission lines last week, “basically as a (Holden) township official,” she said, “because we didn’t know the route” the lines would take. Where it was going, it turned out, was right down St. John’s own property line in Holden Township. “Ambushed,” she said, “is a pretty good word for it. 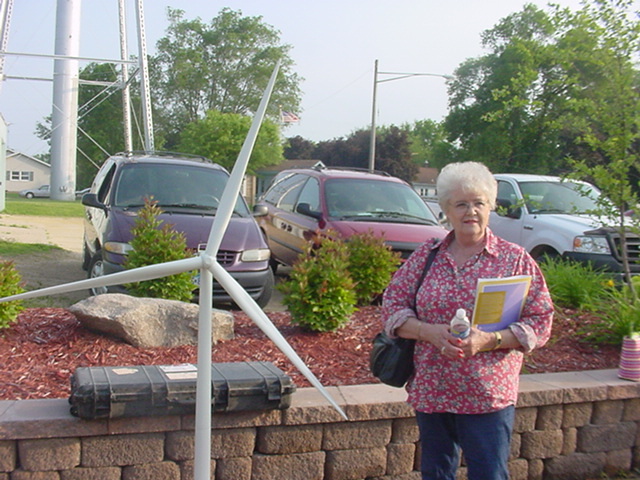 Nowhere on the notice, St. John said, did she see her property singled out as part of the transmission line route. But as a township official, she knew of the possibility. 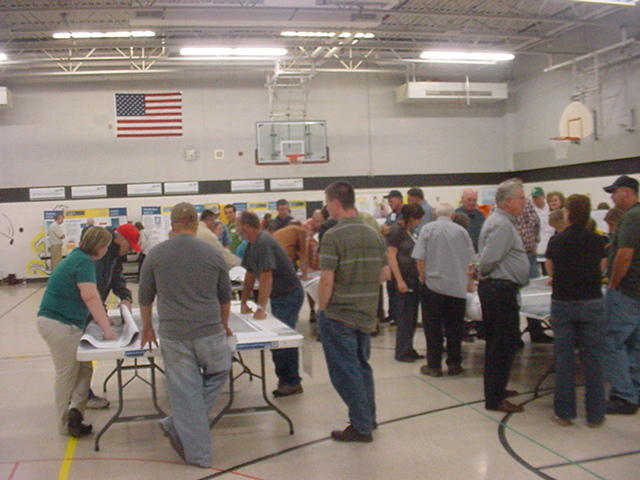 Last week’s meeting in Wanamingo — which drew nearly 250 people — was designed by the U.S. Dept. 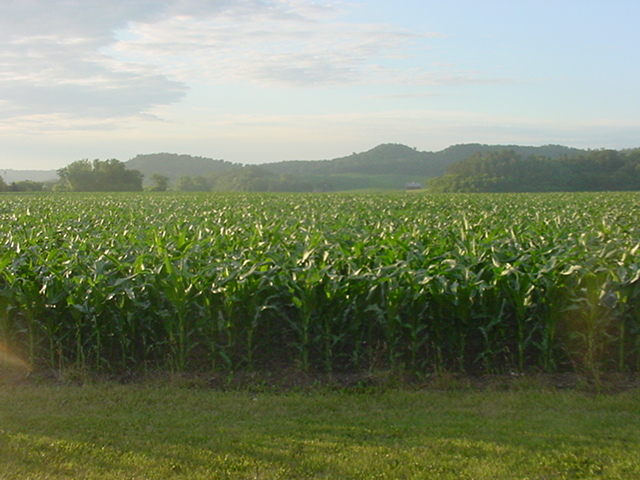 of Agriculture to allow input for an environmental impact statement, a project requirement. The CapX2020 utilities are proposing the construction of a 345-kilovolt electric transmission line and associated facilities to run between Hampton and Rochester. 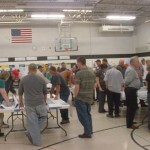 The proposal included the 345 kV transmission line from a substation near Hampton to a proposed substation in north Rochester, then on to a new or existing substation near La Crosse, Wis. The transmission line poles, which will be placed anywhere from 800 to 1,000 feet apart, will be 8 to 10 feet in diameter. 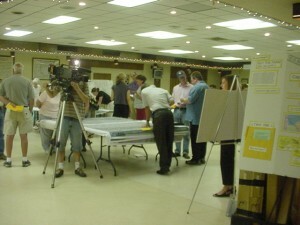 Xcel Energy is the lead utility for the proposal. The route St. John saw isn’t set in stone, cautioned Tim Carlsgaard, communications manager for CapX2020. The final route will be determined sometime in the fall, he said. 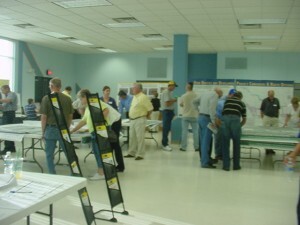 When the final route has been determined by the state, “we’ll talk to the landowner about acquiring an easement, a right-of-way,” Carlsgaard said. In addition to a one-time payment for the land use, other compensation could include crop-damage or compaction. The amount paid “would depend on how many structures are on the property. 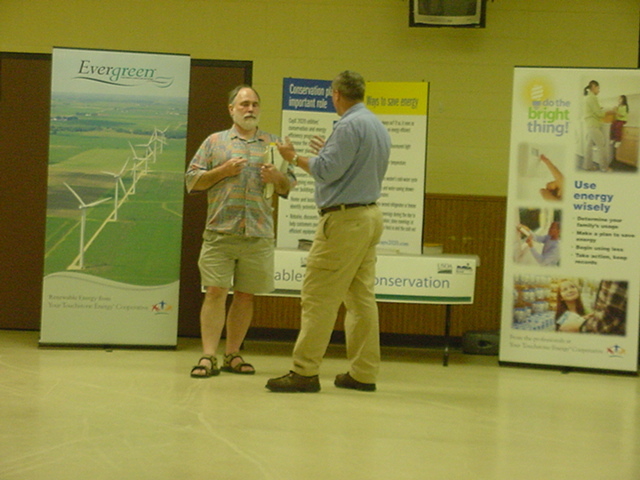 We need to compensate them fairly, and be diligent about pole placement,” Carlsgaard said. The $2 billion project must obtain approval from state and federal agencies before it can be built. Not true, said one of its most vocal opponents. “There’s a brain-washing going on here,” said Carol Overland, an attorney from Red Wing who specializes in transmission and energy issues. 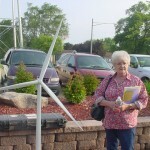 Her passion about energy got its start in, of all places, Kenyon. 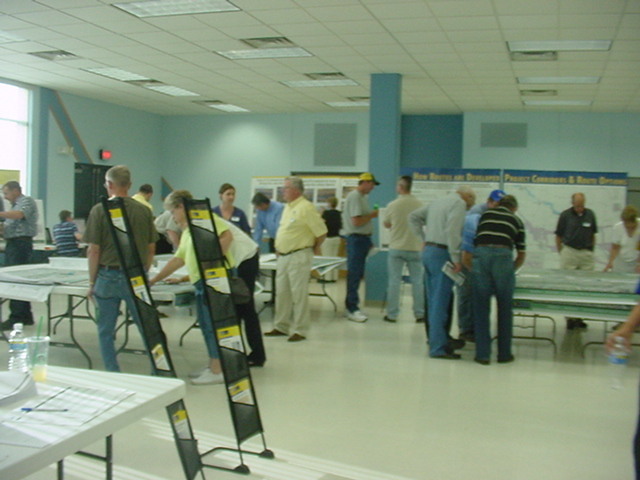 In 1994, a call was put out for a committee’s input about where to put nuclear waste from Prairie Island. The experience was what got her involved in nuclear energy; the rest followed naturally, she said. 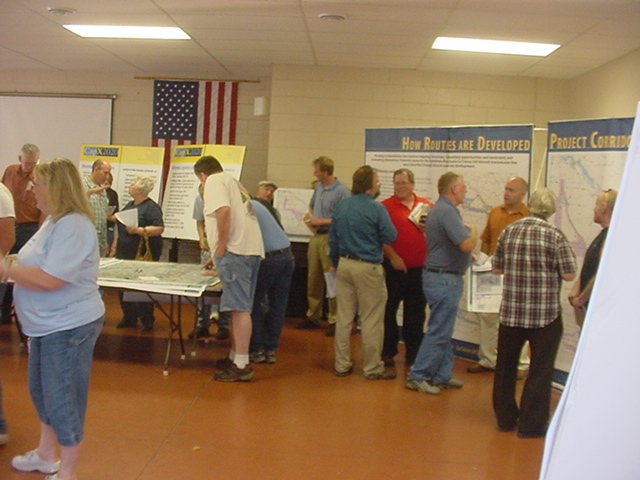 She asked a CapX official at the Wanamingo meeting why the project would be going through the middle of (farmland) sections. For her part, Overland is challenging the project on its entire basis. The EIS process alone is predicted to take at least two years, which she said “gives me hope that it will be thorough.” That’s not enough, though. “Some people say, ‘well, it’s OK, as long as there are conditions, if it goes somewhere else.’ Well, no; then that means it’s OK. That means it’s going to go through someone’s property. We need to start better conservation policies, more renewable energy sources,” she said. St. John said her neighbors will be hearing from her. This is a high mileage week, yesterday, LaCrosse, today Galesville, and tomorrow Fountain City. It was a sparse gathering yesterday. I’d expected a better turnout because of the proximity to LaCrosse and that it was a larger city than others, and hopefully more organized, but noooooooo… The good news was that I got to meet people I’ve been in contact with and hear their story in person, connect a face with a voice. Yesterday, I brought in the CapX 2020 flyer that I find so objectionable — they didn’t have any of them at the St. Charles meeting, but they were there again last night — so I showed it to Stephanie Strength, RUS, and gave her a copy of it and a copy of the NoCapX flyer with the 2000-2008 Xcel system peak demand showing MAJOR decrease in demand, called over Tim Carlsgaard to register my complaint, Grant Stevenson got into the act too, and Stephanie said she’ll check it out. Uh-huh — all the materials they have on display were supposedly approved by USDA/RUS. That means that it should be true and correct, eh? Right… those flyers should be dumped in the recycling NOW! Alan had some good chats, he enjoys talking with these guys, particularly engineers. Those of you facing eminent domain, fighting hard for those measly dollars that utilities will cough up, well, what many people are finding is that the mortgage companies are grabbing it, leaving them with nothing. 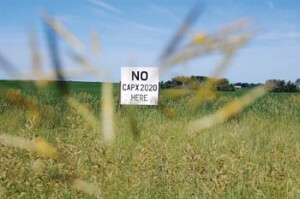 If you are a landowner and if CapX 2020 is threatening to take some of your land, QUICK, get out your mortgage and see what it says about landowner compensation for eminent domain takings or eminent domain settlements. One thing this article doesn’t address is whether there’s a pattern based on percentage of equity, i.e., are they taking the cash when someone’s upside down, but if the mortgage balance is 20% of the value they don’t, if it’s a new mortgage or one regularly behind do the take it, and if it’s one with a substantial down payment and prompt payments they don’t… What’s the pattern here? In tough economic times, more homeowners who lose ground to eminent domain are finding that stressed mortgage holders are pocketing the proceeds. Harold and Sharon Tieden were unhappy from the outset that they would lose a 12-foot swath of their Blaine back yard and a row of mature pines to an expansion of Radisson Road. Still, they began negotiations with Anoka County, planning to use the settlement to rebuild a berm, move trees and rocks, and maybe build a fence. ¶ But like many other homeowners losing ground to eminent domain this year, they have found that they can’t even count on the cold comfort of a settlement check. When they sign the papers, the check, it turns out, will likely go instead to their mortgage holder. In an unusual twist brought about by stressed lenders and highly leveraged real estate, homeowners across the metro who are facing the loss of land due to eminent domain projects are increasingly getting notices from banks claiming rights to the proceeds. In the past, such notices were sent so rarely that county officials never saw a need to keep track of how often it happened. So what’s their basis? She said that if she let me in, then if anyone else would come, she’d have to let them in too, and they didn’t want any disruption, that people had to hear (HUH? Where’s the disruption? Who can’t hear? If there’s disruption, then deal with disruption. This is not the way to do it — it’s the same theory the St. Paul Police and Sheriff Fletcher were operating on with the RNC, raid first to prevent disruption, wholly unconstitutional). It was clear that that was the new rule. Offensive, but not worth a trip to jail about. 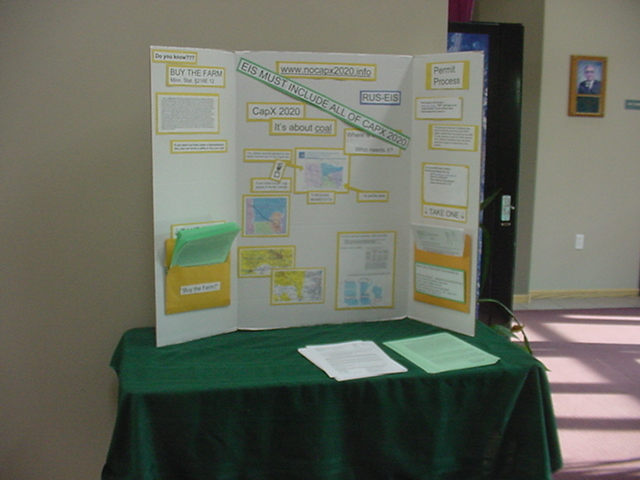 Thing is, she’s said that in her 10 years with RUS, no one has ever done this before, a fact that I find so strange, I’ve been setting up displays wherever there are meetings and hearings, for how long, following project proponents around the state. I cannot believe that no one else has done this. The DOE knows from the Mesaba Project that “this is how we do it in Minnesota!” But then, where is everyone on this project? No other intervenors have bothered to show up. What gives? Anyway, the front hall had its advantages. Rather than sit back and passively wait for people to stop by, I got to have at least a little discussion with everyone coming and going, so it might even be better!!! I got a lot of sheets handed out, although the turnout was not as good in St. Charles as it was in Plainview and Wanamingo. It was looking like it might rain, though it didn’t, so a guy doing music on Main Street was set up in the room next door, and I got to play usher. “Are you here for the music (indicating door on R) or the song and dance (indicating ahead, to CapX)?” Many went off to the music on the right with NoCapX 2020 flyers in hand, including the Music Man! Another thing, the first night, CapX had a flyer with a subheading about “ever increasing demand for electricity” and I couldn’t find that flyer last night. What gives? I know it was there somewhere, and hey, I want to object! June 23, 2009 6-8 p.m.
June 24, 2009 6-8 p.m.
June 25, 2009 6-8 p.m.
Tonight, there were about 200 people — Stephanie Strength said that last night’s crowd in Plainview was MORE than 200! It was a good gathering and I got to meet a lot of people I’ve been corresponding with but never met, and Joyce and Judy from U-CAN (United Citizens Action Network) were there and I overheard someone telling Joyce how much she’d appreciated her comments at the Cannon Falls PUC Public Hearing, that she really went at it and said what needed to be said! That kind of statement makes this battle a lot easier! If you want to be added to my email notice list, drop me a line — you know how to find me!!! What should we be telling them should be included in the EIS? Everyone should send in specific environmental information about their community and areas they know (parks, wildlife areas, Laura Ingalls’ brother’s grave, etc). 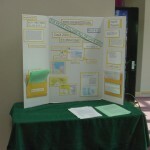 The WHOLE project must be reviewed, it’s all one big happy project. 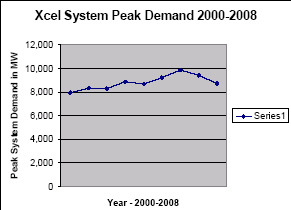 There is no need for this project – Xcel demand down 11+% 2007-2008 per their SEDC 10K filing, not even getting into 2009!!! Otter Tail Power demand down the toilet too. PJM cancelled part of Mid-Atlantic Power Pathway due to decreased demand. Impacts on federally protected waters and wetlands and Scenic Byways, etc. 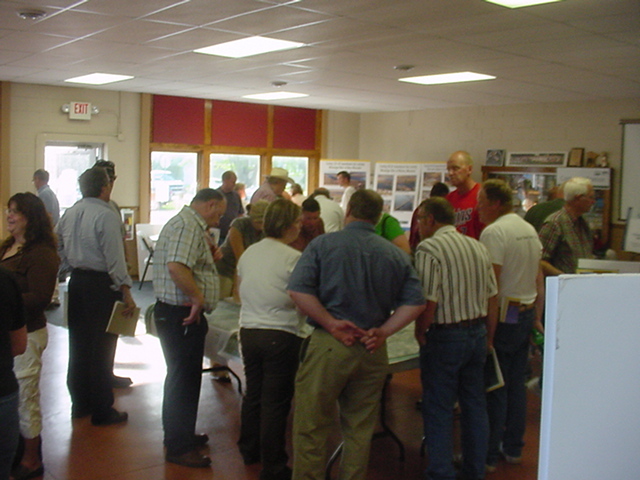 Anyway, important factoid — it was an “open house” the whole time, no discussion whatsoever, no public meeting, no hearing, no court reporter or tape. There was a cardboard box way in a corner to put comments in. So if I ruled the world, I would do things differently. I’d have two boxes, at the entryway, and at her table in the room, much moreclearly marked. Tonight, in Wanamingo, I’ll see what I can do about that. nonagricultural homestead, nonhomestead agricultural land, rental residential property, and both commercial and noncommercial seasonal residential recreational property, as those terms are defined in section 273.13 is proposed to be acquired for the construction of a site or route for a high-voltage transmission line with a capacity of 200 kilovolts or more by eminent domain proceedings, the fee owner, or when applicable, the fee owner with the written consent of the contract for deed vendee, or the contract for deed vendee with the written consent of the fee owner, shall have the option to require the utility to condemn a fee interest in any amount of contiguous, commercially viable land which the owner or vendee wholly owns or has contracted to own in undivided fee and elects in writing to transfer to the utility within 60 days after receipt of the notice of the objects of the petition filed pursuant to section 117.055. Commercial viability shall be determined without regard to the presence of the utility route or site. The owner or, when applicable, the contract vendee shall have only one such option and may not expand or otherwise modify an election without the consent of the utility. The required acquisition of land pursuant to this subdivision shall be considered an acquisition for a public purpose and for use in the utility’s business, for purposes of chapter 117 and section 500.24, respectively; provided that a utility shall divest itself completely of all such lands used for farming or capable of being used for farming not later than the time it can receive the market value paid at the time of acquisition of lands less any diminution in value by reason of the presence of the utility route or site. Upon the owner’s election made under this subdivision, the easement interest over and adjacent to the lands designated by the owner to be acquired in fee, sought in the condemnation petition for a right-of-way for a high-voltage transmission line with a capacity of 200 kilovolts or more shall automatically be converted into a fee taking. June 17, 2009 6-9 p.m.
June 18, 2009 6-9 p.m.
June 23, 2009 6-9 p.m.
June 24, 2009 6-9 p.m.
June 25, 2009 6-9 p.m. Somehow the time flew and next thing I knew, AAAAAGH, Requests, Petitions and Motions for Reconsideration were flying into the Inbox. After a frantic cut and paste, mine went out too… that’s one deadline not to miss!